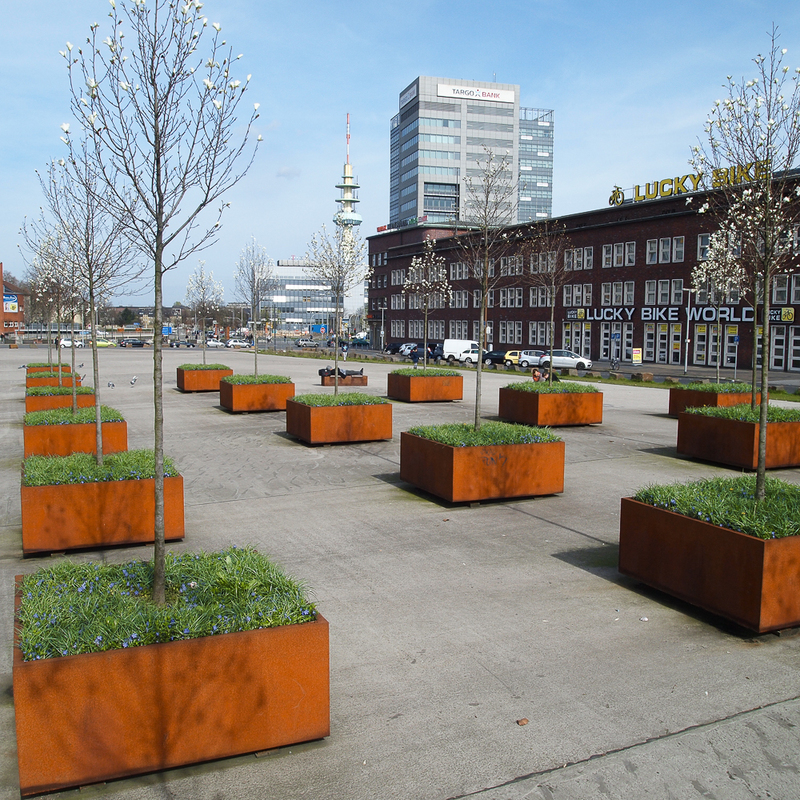 These Shrubtubs Square and Tree Tubs are normally made of 4 mm - 0.15” thick CorTen steel. 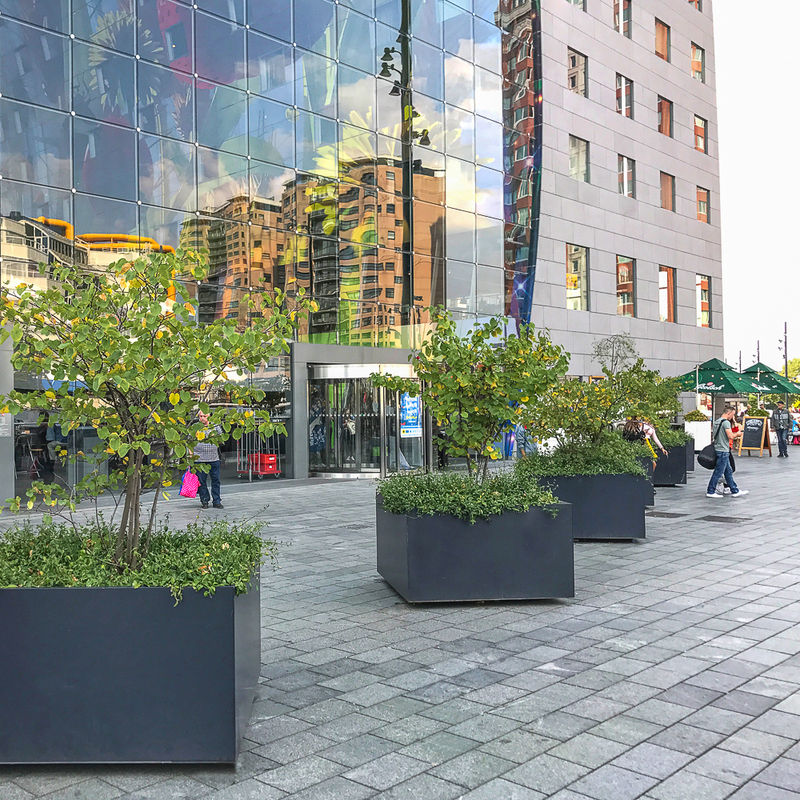 They contain a volume of substrate up to a maximum of 5m³ - 177 cu ft. and are suitable for shrubs, multi-stemmed trees. Bigger city trees depend on this substrate volume. The Treetec® Bottom Up nursing system is optional. 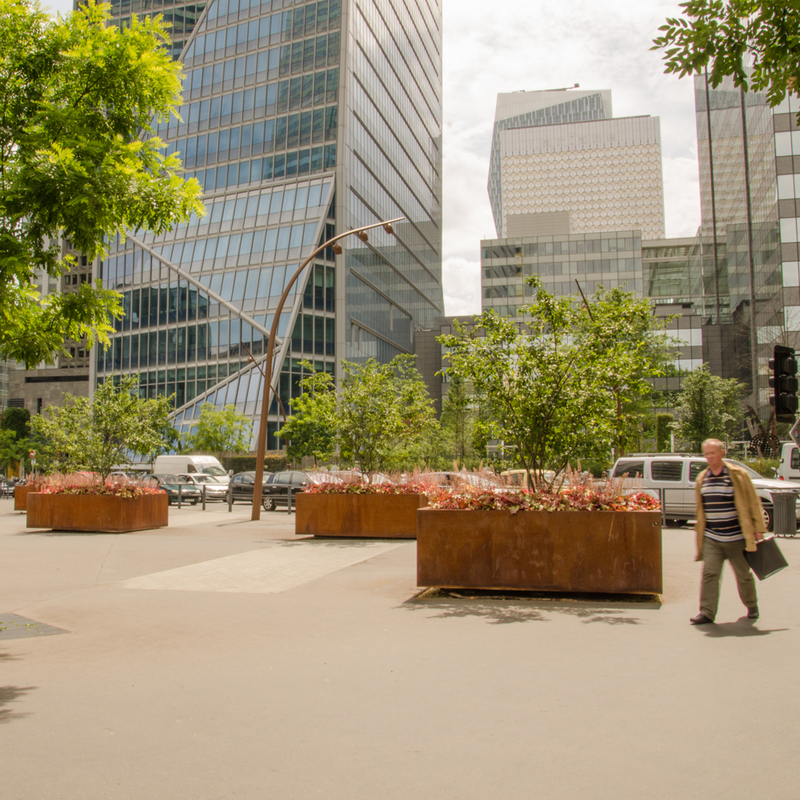 The CorTen tub is well detailed, functional and available with a special double powdercoating. The Shrubtubs can be easily relocated and have anchoring for the root ball. 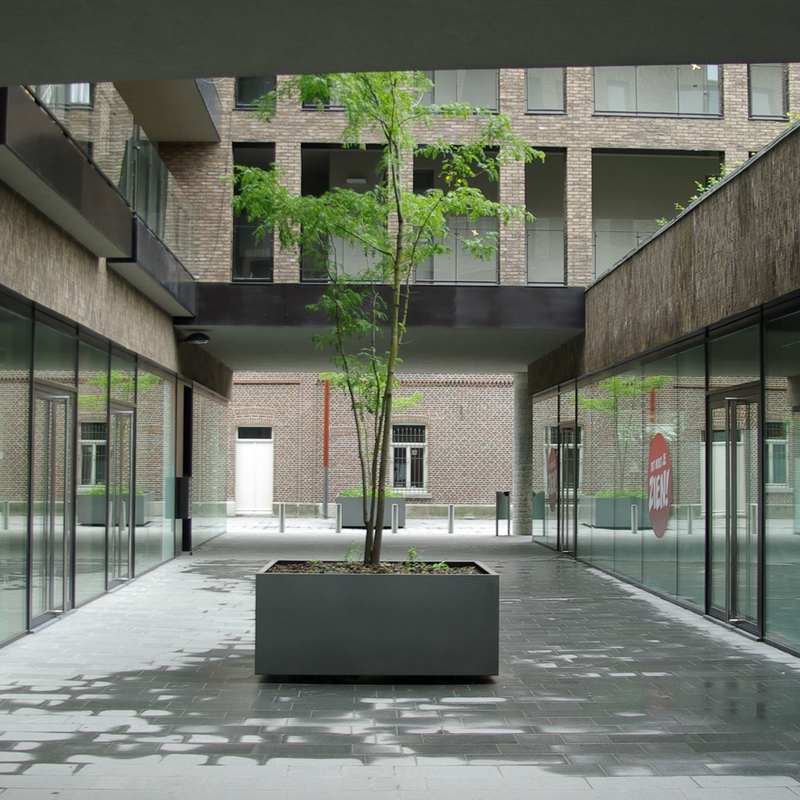 The single-walled sides are reinforced to prevent sagging due to soil pressure. TheTreetec® Bottom Up system ensures adequate insulation, oxygen circulation, root ball fixing, irrigation and excess water drainage. Standard height ca.75 or 90 cm | 30 or 35" above ground level, internal height ca. 68 resp. 83 cm | 26" resp. 32"
On request available in custom lengths of up to ca.230 cm | 91"